* Vivisection means “experimentation on live animals”. Unfortunately, cruel animal testing is still wide spread throughout the world on everything from cosmetics to household cleaning products to weed killer to pet foods. I don’t think that anyone reading this page would knowingly use any product which has been tested on animals but, as with so many animal welfare issues, it can sometimes be hard to do the right thing. Companies can be misleading and duplicitous, there is a distinct lack of truth in labeling and information can be hard to source if you don’t know where to look. I am intending to do a few posts on this very important topic of animal testing to break it down into easily digestible topics. So, what better product to start my anti animal testing vent on yet another unseasonal 30 degree October day in Sydney but….SUNSCREEN. Something my heat fearing, freckled skin needs a constant coating of. Luckily, the world of the internet makes it easy for us all to find kindly sourced products, once we know where to look. However, it is not always as simple as seeing the “not tested on animals” logo on the packaging of a product. The product itself may not be tested on animals but it’s ingredients may be. Companies do not always tell the truth and are aware that being “not tested on animals” is desirable among most consumers. And then, there is China (and Brazil to some extent) – who’s government requires all cosmetics to be tested on animals prior to being them sold there. These are the universally respected lists to use when you want to find a product which has not been tested on animals. These lists remove any ambiguity when searching for an ethical sunscreen and they are regularly updated and companies are booted off if they waiver in their ethics. I have targeted sun screens in the links but they are useful for most products. The Australian independent and not for profit Choose Cruelty Free. The internationally recognised Leaping Bunny. Each of these sites has useful information about animal testing, the alternatives etc. Not necessarily concentrating on sun products but interesting all the same, Animal’s Australia provide a good guide on companies to avoid as they DO test on animals (or advertise as being cruelty free but sell to countries where animal testing on products is mandatory – ie: China). Quite a few surprises (like Clinique and L’Occitane) appear on the list. We have a stash of sunscreens in our cupboard which has formed the initial part of my research for this topic. 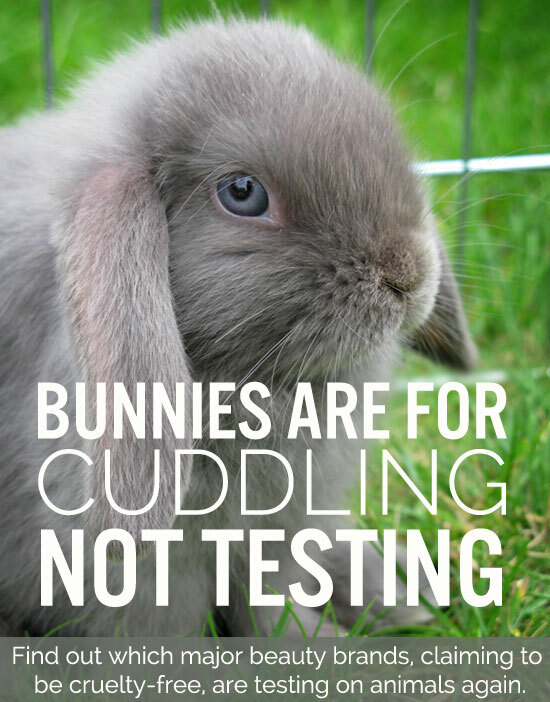 There are mixed results in terms of their virtuousness in respect of animal testing. * Banana Boat, Le Tan and Sothys are iffy. They do not appear on any of the credible lists as being tested or not tested on animals. Sothys has the “Not tested on animals” claim on it’s packaging but this is open to ambiguity as discussed above. * UV Natural and Natio get a big tick of approval from Choose Cruelty Free so they will remain on my shopping list. * Nivea – the Ethical Consumer Guide have criticised them for selling to China (despite being marketed as being cruelty free) so they are off my list big time for putting profit over ethics. * Wotnot – appear to be a highly ethical company but do not appear on the Choose Cruelty Free list. I have written to them to find out why not (which is a good idea if you are unsure…..by contacting a company, you are reinforcing to them the importance of this issue to the consumer). I have yet to purchase sun screen products from Moogoo and Dermalogica but intend to in the future. They should be rewarded for their refreshing display of integrity by refusing to sell to the lucrative Chinese market (in the case of Dermalogica, they pulled out of the Chinese market when learning of the animal testing requirement). Jurilique, Avon and Estee Lauder are on my “never again” list for doing the exact opposite and selling their soul – paying for animal experimentation to allow their products to be sold in China (despite being marketed as being “cruelty free” in Australia). As of this year, the EU have banned the sale of cosmetics which have been tested on animals. Israel’s ban came into effect on the 1st January 2013. Animal testing for cosmetics has recently been banned in India (and they are looking towards a sales ban, such as is present in the EU and Israel, on products which have been tested on animals in other countries). Once again, Australia is lagging behind. Although Australia does not conduct animal testing for cosmetics (although it does for many other things), products from overseas which have been tested on animals can be sold here. Similarly, Australian companies can still market their products as being “not tested on animals” but use ingredients that HAVE been tested overseas to create a loop hole. Labour’s Tanya Plibersek was pledging to end the sale of cosmetics in Australia that had been tested on animals to keep up with the tide of sensibility around the world but, unfortunately, Tony Abbott came into power and I can’t see this issue being close to his heart. On a final note, remember not to wear any sun cream near coral reefs as, no matter how kindly sourced your sunscreen is as it can be damaging to reefs. Would love to hear your feedback on how your sunscreens at home stack up ! As positive as this response sounds, I note from my internet research that this exact response was given to somebody else back in May 2012, nearly a year and a half ago. Hmmmmm ! I cannot imagine the re-accreditation process being so arduous and have written back to them advising them of this and the fact that Le Tan is off my list until they are back on the Choose Cruelty Free list. Again, sounds promising but they successfully dodged my question about why they do not appear on any of the cruelty free lists so….I have my suspicions about the transparency of their claims. No further explanation about why they are not on any lists etc so I remain dubious.